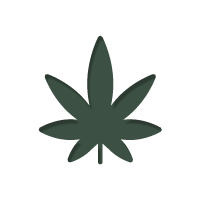 As views change, cannabis continues to become more and more popular among adults, and it is resulting in far less abuse of the substance. According to the data gathered from two gigantic surveys, the amount of Americans using cannabis has more than doubled in recent years. However, considering that attitudes are changing in favour of ending cannabis prohibition, it is no real wonder that use has increased. It hasn’t stopped right-wing media from claiming that severe addiction is just around the corner, though. So we thought we would take a what is really going on. The analysis in question was published in the journal JAMA Psychiatry by Deborah Hasin, a psychiatrist of Columbia University. In the research, a large group of participants were surveyed about their cannabis usage, in both 2001 and 2013. It was found that in 2001, only 4.1 percent of people were using cannabis regularly, whereas, in 2013, the percentage was 9.5. So let’s take a closer look at this. 6.8 million people who have supposedly had their lives negatively impacted by marijuana is a large figure. To start with, this is data gathered through survey by a psychiatrist, and should be taken with a pinch of salt – there is a lot of room for error, stories are not fact checked, and there has been no actual scientific lab work involved. Then you have to look at Hasin’s definition of “marijuana use disorder,” in which lies the real problem. Usually, a psychiatrist would use the definition outlined in the DMS - an official manual of disorders – which requires two of eleven criteria to be met for a marijuana disorder to be diagnosed. However, the definition used in Hasin’s research in much broader than the one found within this book. Anyone who, for example, was ever busted for cannabis possession, driven under the influence, or whose partners think they use too much would all be classed as having a marijuana use disorder. Of course, those who have a real problem actually quitting would also be included in the figures. The problem is, is that there is no breakdown of those deemed to have a marijuana disorder, preventing real scrutiny. It would be presumed that the less serious problems, such as having being caught with a small amount of pot, would make up the bulk of the figures. This is especially relevant when you consider this research says 30 percent of users suffer marijuana use disorder, while the National Comorbidity Survey suggests that only 9 percent of users experience a mild dependence at some point in their lives. What does this all mean? Well, it is certainly interesting to see usage trends rising, but you have to take any deeper analysis into what it means concluded from survey data with a healthy degree of scepticism. As you can see here, personal interpretations of what constitutes as marijuana use disorder have skewed the research, yet it is still considered as accurate by the media. One thing is for sure, though, as use is going up, abuse is going down – even with these skewed figures. It shows that changing views, education, and the end of prohibition is working. 0 min Contest Closed: Win 5 Royal Queen Seeds Autoflowering Packs 7 March, 2014 Here are the three pictures that won this contest: Check on the blog next week for the following contest! 0 min 7 March, 2014 Contest Closed: Win 5 Royal Queen Seeds Autoflowering Packs Here are the three pictures that won this contest: Check on the blog next week for the following contest!